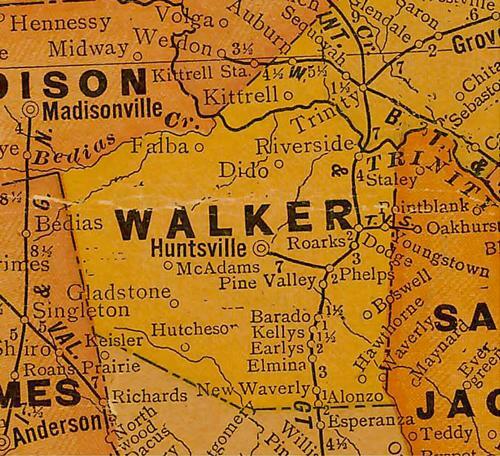 Walker County Texas maps, history, cities, towns, travel and more. The earliest known inhabitants of this area were the Cenis and Bidai (Bedias) Indians. Spanish explorers began to arrive in 1542, followed by the French in 1687. The area was thinly populated by Spanish and Mexican settlers until the early 1830s when colonists came from the United States. Brothers Pleasant and Ephraim Gray established a trading post near this site about 1835 or 1836, naming it for their home in Huntsville, Alabama. 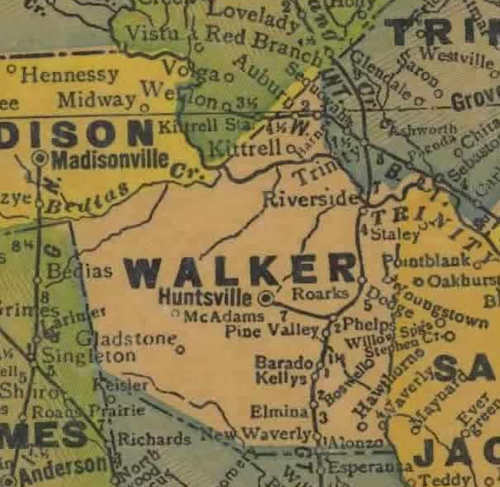 The region was included in neighboring counties until Walker County was created by the First Legislature of the State of Texas in 1846; it was named for U. S. Senator Robert J. Walker, who introduced legislation for Texas' annexation. 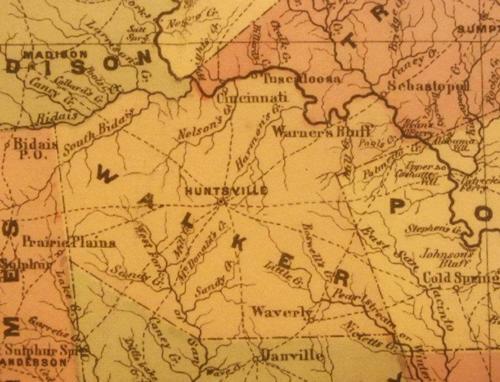 The state penitentiary was established at Huntsville in 1849. Agricultural products, primarily cotton, were shipped out by steamboat from the late 1840s. 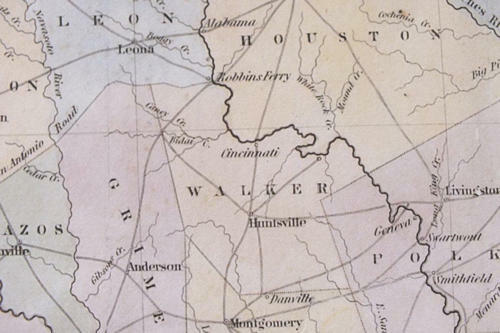 When the Civil War began, R. J. Walker declined to support the Confederacy. 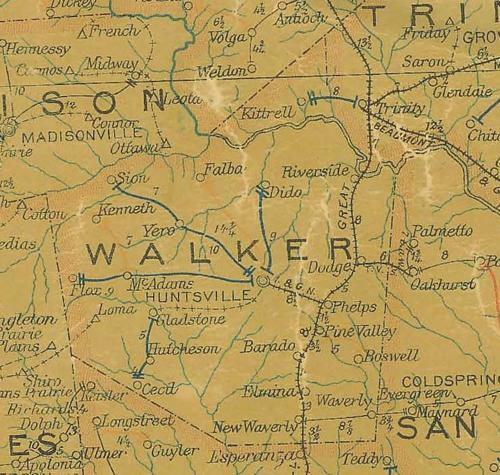 The Texas Legislature renamed the county in 1863 for Texas Ranger Samuel H. Walker. Martial law was declared in the county for 60 days in 1871 because of Reconstruction-era racial violence. With the arrival of the railroads in the 1870s, depot towns flourished. Huntsville narrowly avoided the fate of other towns bypassed by the railroads when residents hurriedly raised funds to build a spur. Cotton never regained its pre-Civil War stature, and lumber and livestock became important businesses in the 20th century. 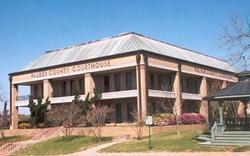 The heritage of Walker County, from Native Americans to frontier settlers and U. S. Citizens, is one of independent spirit and determination.